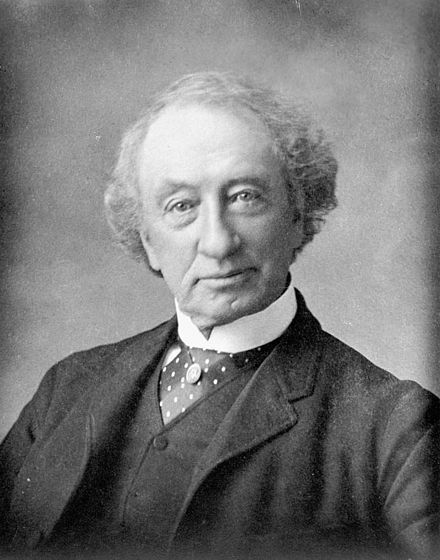 Sir John A. Macdonald – he of the vest, the big nose, the whiskey bottle, and the reins of government – is 200 today. This afternoon in Kingston Ontario’s city hall, Prime Minister Stephen Harper gave a speech to kick off the year-long 200th anniversary celebrations of the birth of Canada’s first prime minister. Such anniversaries are always political, especially in an election year. But with luck, this anniversary will also be a learning opportunity. Especially for those, like me, who are “settler”, or “newcomer” Canadians, there’s a chance this year to find out just how wrong is our founding myth of the kinder, gentler, Canada. In retrospect, Sir John A. fits right in with some who are pushing to remember Canada as a military, conquering nation. Because, against the First Nations, under Macdonald and others, we were all that, and worse. To mark the 200th anniversary, you might want to get a copy of “Clearing the Plains”, by James Daschuk. It’s a riveting and disorienting re-telling of Canadian history. From Chapter Six onward, Macdonald figures prominently. For example: “On 24 March 1882, the prime minister announced to Parliament that all Indians in the territory of Assiniboia would be removed, by force if necessary, from the land south of the proposed railway.” Growing up in southern Saskatchewan, I came to wonder why there were no aboriginal people around. Now I know. Reading Daschuk’s book, you realize that they were systematically lied to, starved, beaten, cheated, and forcefully relocated. The treaties, once signed, were ignored, since the true goal was to clear the land for European settlement, for the railway, and for the (often Montreal) investors who were looking for a profit. Macdonald was the architect behind much of this terrible attack. But he was not the only one. The Liberals, when they were in power during that period, were even harsher in their treatment of First Nations. Some have even argued that, judged in the light of the time, Macdonald was better than most. Disturbingly, both Liberals and Conservatives hid their power and money-grabbing behind ideals of so-called “Christian statesmanship”. Daschuk concludes his book with this telling statement: “The effects of the state-sponsored attack on indigenous communities that began in the 1880s haunt us as a nation still.” This summer, I’m hoping, with a group of others, to walk the North West Mounted Police Trail, a 275 km half-forgotten path that was crucial to that 1875-85 clearing of the plains. That will be our small way to mark this ambiguous anniversary.